Whether you are an established enterprise, a freelancer or a business trying to enter the market, there is one field you cannot do without and that is accounting. Today, the SME and MSME sector is growing rapidly and their revenues and profits are also increasing The government taxation policies are also changing with time. At this point, it is not easy for an upcoming entrepreneur to keep up with all the latest accounting rules, hire professionals or buy expensive accounting softwares. To combat this issue, there are quite a few portals that provide accounting softwares for SME and MSME businesses. These softwares do not only help in accounting but also help in calculating the tax payable by the entrepreneur. Along with it, they help to keep a note on the debit amount to be paid to suppliers and the credit amount to be received by customers. These softwares are either available as a desktop web version or an app on the phone or on both platforms. The softwares mentioned in this blog are free to download for a particular period of time and completely user friendly. 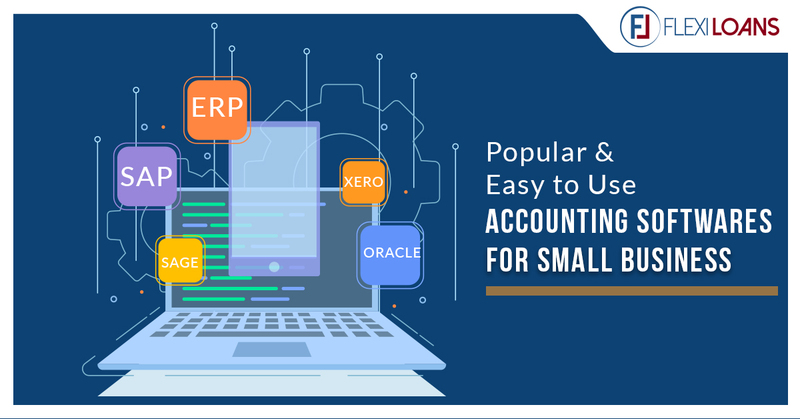 Let’s dive right into the list of popular, user friendly accounting softwares for your SME business. Marg is an accounting software developed mainly to cater to Indian needs. It is completely free to use without any hidden costs and provides the option of a premium upgraded version for more features. Marg Accounting Software has features such as ledger maintenance, cash flow control and balance sheet preparation. After the rolling in of GST from 1st June 2017, Marg is also GST compliant and helps you with any GST related accounting. To checkMarg’s website page, click here. ZipBooks is a popular choice of accounting software in the SME sector and upcoming entrepreneurs. With an extremely easy to use interface, once you start using this software it will definitely become your favorite. For starters, this accounting software is completely free to use but they do have different packs depending upon the needs and requirements of your business. ZipBooks lets you create unlimited invoices in different vendor and supplier names. A great feature of this software is, it lets you map your bank account to your ZipBooks account and handle matters easily. Follow this link to know more. With FinTech rising and more of technology being used in the field of finance, the ease of accounting has also been realized. FinTech has given rise to cloud accounting through which your books of accounts can be accessed through any device, anywhere. Known for its inventory management system, this accounting software provides a plethora of features such as unlimited invoices, unlimited sales orders, and accepting payments online. if you chose their advance option, ProfitBooks provide a Live Chat version to learn more about their features. If you are a home owned enterprise or someone new to accounting and do not want something complicated, Money Manager Ex is the right accounting software for you. The main feature of this software is that it is extremely simple to understand the platform and even easier to execute. This software is available to use on the website with installation or through the feature of an app on your phone so it is portable for you, anytime, anywhere. To know more about this software, click here. This one accounting software has stuck through the times and kept up with all the latest evolutions too. Tally ERP is one of the most used, trusted and sought after accounting software in India. Most traditional, family run and even big corporations use Tally to maintain their accounts. The basic version of Tally is free of cost and can be upgraded to higher packages. As of now, tally cannot be downloaded as a phone app, however, they have a very easy to use simple software for the desktop. You can download the free version of Tally ERP 9 here. Zoho Accounting Software is cloud-based accounting software that can be accessed anywhere, anytime through any device. It features contract management, invoices, expenses, sales and purchases orders, project time tracking and inventory management. Zoho Books accounting software is also GST compliant to issue invoices. It provides a trial for a few days after which a premium package needs to be bought. Zoho Books can be downloaded and installed as a version on the desktop along with the feature of it being downloaded as an app on your phone. Vyapar is a simple, easy to use, GST compliant accounting and invoicing software for SME and MSME entrepreneurs. Along with accounting and invoicing, Vyapar is extremely useful for Inventory Management and helps keep a track of inventory in a very simple manner. Even for users with no accounting knowledge, the accounts can be handled without an expert financial team. It also helps in generating reports regarding the business. The best part about Vyapar is, it can work without the internet too. 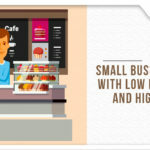 So you can manage your business from anywhere even without internet with this small business software. To know more about Vyapar, click here. While GST could have been tough or a roadblock to a few entrepreneurs, this software ensures that at least the accounting bit of the business is handled easily without worry. The software mainly tries to ease the process of billing and invoicing. It also helps in keeping a track of the bills and expenses along with the payroll of the employees and amount to be received by creditors. Another great feature of Easy GST is that it shows a report of asset management which helps in the depreciation of machinery by itself without human error. Like most of the other software’s, this too is available as a web version along with an app for the smartphone. To get your accounting journey started on the Easy GST software, click here. Now that we have listed the most popular and easy to use accounting softwares out there in the market, it might be easy for you to pick a software that will fulfil your needs and does not burn a hole in your pocket. Before downloading any software ensure that the platform is safe and secure as the software will handle the entire financials of your business and you do not want that to be tampered with. Let us know in the comments section below which is your favourite accounting software to use.